Also serving communities of Emmett. There are 6 Memory Care Facilities in the Middleton area, with 1 in Middleton and 5 nearby. To help you with your search, browse the 3 reviews below for memory care facilities in Middleton. Better rated regions include Caldwell with an average rating of 4.5 out of 5 stars. Caring.com has helped thousands of families find high-quality senior care. To speak with one of our Family Advisors about memory care options and costs in Middleton, call (855) 863-8283. Middleton, whose population numbers close to 7,500, offers small-town charm a short drive away from Boise. About 750 seniors aged 65 and older call Middleton home, and the Centers for Medicare and Medicaid Services estimates that 8.9 percent of them have Alzheimer's disease or another form of dementia. For seniors diagnosed with dementia and their families who are considering memory care, there are five facilities in the Middleton area. One is in the city limits, and four more are available in neighboring communities. 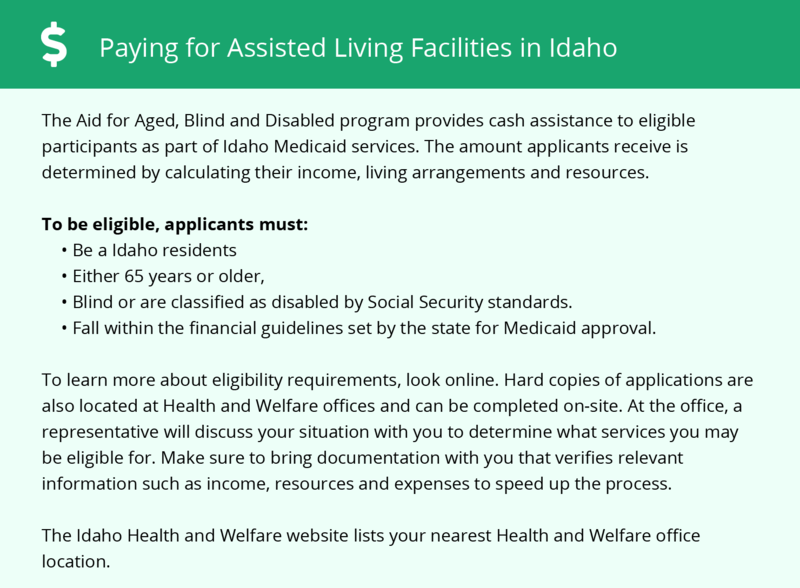 Legally, these facilities are known throughout Idaho as Residential Care Facilities or Assisted Living Facilities. By state law, any facility admitting people with dementia must provide secure environments for residents and specialized training for staff. The Middleton area is home to world-class medical facilities, including those specializing in brain health and dementia care, such as the neurology department at St. Luke's Boise Medical Center in nearby Boise, in the event of medical emergencies or illness. In Idaho, memory care facilities must provide a secure yard that residents can access year-round. Families may want to consider whether a city's climate will affect their loved one's ability to enjoy time spent outdoors. In Middleton, the weather receives a comfort score of 72, indicating that the town usually has many comfortable days in the 70s each year. Middleton's crime rate is 9.41 per 1,000 residents, making it safer than 69 percent of American cities. A recent study ranked Middleton as one of the most secure large cities in the U.S. In addition, memory care facilities may take special precautions to keep residents secure, such as using coded locks and gates. Seniors in Middleton may be able to save more toward memory care costs thanks to Idaho's tax code. Social Security income is tax-free and seniors with public pensions may qualify for a generous deduction. Memory Care costs in Middleton start around $0 per month on average, while the nationwide average cost of memory care is $4,778 per month. It’s important to note that memory care rates in Middleton and the surrounding suburbs can vary widely based on factors such as location, the level of care needed, apartment size and the types of amenities offered at each community. Middleton and the surrounding area are home to numerous government agencies and non-profit organizations offering help for seniors searching for or currently residing in an assisted living community. These organizations can also provide assistance in a number of other eldercare services such as geriatric care management, elder law advice, estate planning, finding home care and health and wellness programs. To see a list of free memory care resources in Middleton, please visit our Assisted Living in Idaho page. 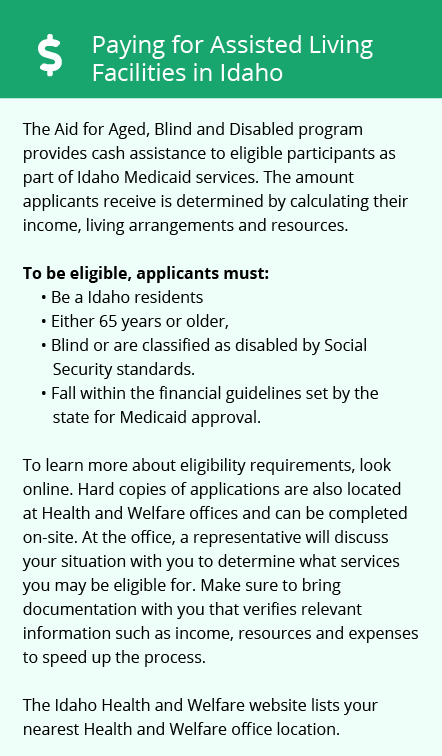 Middleton-area assisted living communities must adhere to the comprehensive set of state laws and regulations that all assisted living communities in Idaho are required to follow. Visit our Memory Care in Idaho page for more information about these laws.